در این آموزش انگلیسی به آدرس پرسیدن به انگلیسی می پردازیم و جملات کاربردی انگلیسی برای پرسیدن آدرس یا دادن آدرس را با ترجمه فارسی آموزش می دهیم. 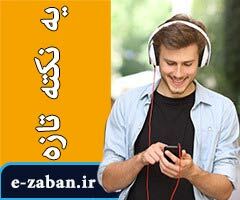 شما نیز می توانید با تمرین و تکرار آدرس پرسیدن به انگلیسی را بیاموزید. 1. Where is your house? 2. My house is on Fajr Street. 3. Could you please give me the exact address? 4. I don’t have a fixed address. 5. Please write me at this address. 6. Please let me jot your address down/write your address down. 7. Have you got a slip of paper? 8. Ok, it is 164 Fajr Street. 9. Is it in a blind alley? 10. No, it’s on the main street. 11. It’s across from the bank./it’s opposite the bank. 12. It’s behind the mosque. 13. There is a bus stop in front of my house. 14. I need to get hold of Mr. Smith’s address. 15. Excuse me, could you tell me where Imam Khomeini Street is, please? 16. Excuse me, can you tell me the way to Imam Square? 17. I am looking for Golha Lane/Alley? 18. Excuse me; I am trying to find a library. 19. Excuse me, can you tell me the way to the bus station/ railway station? 20. How can I go to the shopping center. 21. Would you please guide me? 22. Pardon me? Could you please speak a little more slowly? 23. Take the second Street on the left. It’s next to the drugstores. 24. Turn round then turn left at the traffic light. 25. Take a right at the junction/ the intersection. 26. Go through the T-junction/T-intersection and then turn into the first side- street on the left. 27. Carry on till you get to the crossroads/ intersection then turn left. 28. Go straight on till you get a turning. 29. Go round the turnabout/ traffic circle and go to Rose Street. 30.Go down the Street/ up the Street. 31. Go down the Street and turn left at the second stoplight. You can’t miss it. 32. Go three blocks and make a right. 33. Ask someone else when you get to the flyover/overpass. 34. Keep going straight for two blocks and you will run right into it. 35. Is this the main street? 36. Is this a one-way street? 37. This is a dead- end. 38. This street is block. 39. This is the beginning of the bypass. 40. How can I get to the ring road/ beltway? 41. How can I get to Hemmat Dual Carriageway / Divided Highway? 42. Is the motorway /freeway near? 43. How many kilometers is it to the next gas station? 44. Will it take me long to get there? 46. No, it’s no distance at all. 47. No, it’s about five hundred meters. 48. Is it too far to walk? 49. No, it’s about five minutes’ walk. 50. You will get there in less than 5 minutes. 51. Should I take a bus? 52. No, you don’t need to take a bus. 54. You’re welcome./Don’t mention it./Anytime./ sure./Not at all. شما نیز اگر برای آدرس پرسیدن به انگلیسی جمله کاربردی یا اصطلاح خاصی می دانید که در لیست بالا نیست از طریق قسمت نظرات با ما در میان بگذارید تا در سایت درج شود.